It´s time to restart playing music together! For info or asking for directions, contact me! About synths, looping, rugs, hoovers, breaks, patterns, filters, delays, cabs, signal processors, virtual analogs, samples, triggers, sequencers, panics, distortions and other funny words you don't know yet. Last sunday we had the first workshop about electronic music. I explained some basic concepts about computer music (audio waves, MIDI, synthesizers, sample...) and we saw how to make some simple music loop with Propellerhead Reason using loop players, drum-machines and synthesizers. I'm waiting for suggestions, questions, critics: what do you want to learn? which subject interest you the most? Zehn kleine Fische die schwammen im Meer. denn im Meer sind die Haie und die beißen mich gleich! Neun kleine Fische die schwammen im Meer. Acht kleine Fische die schwammen im Meer. Sieben kleine Fische die schwammen im Meer. Sechs kleine Fische die schwammen im Meer. Ein kleiner Fische der schwamm im Meer. Ein gßer Hai sagt: "Ich möchte nicht mehr. Ich habe eine Maus geseh’n, die wollt’ auf Weltraumreise gehn. den Raumanzug, zug, zug für ihren Flug. die Batterie, rie, rie für Energie. das Mikrofon, fon, fon für den Ton. und Apfelsaft, saft, saft für die Kraft. und Käs’ und Speck, Speck, Speck kommt in’s Gepäck. und Klopapier, pier, pier - ihr wisst, wofür. dann hebt sie ab die Maus und fliegt hinaus. The next Musically Minded will be particular and improved! In addition to the usual music session, we'll have a workshop about electronic music. Someone (Tau) told me she would like to learn how to make electronics loops and sessions, and since I know something about, let's have a workshop! 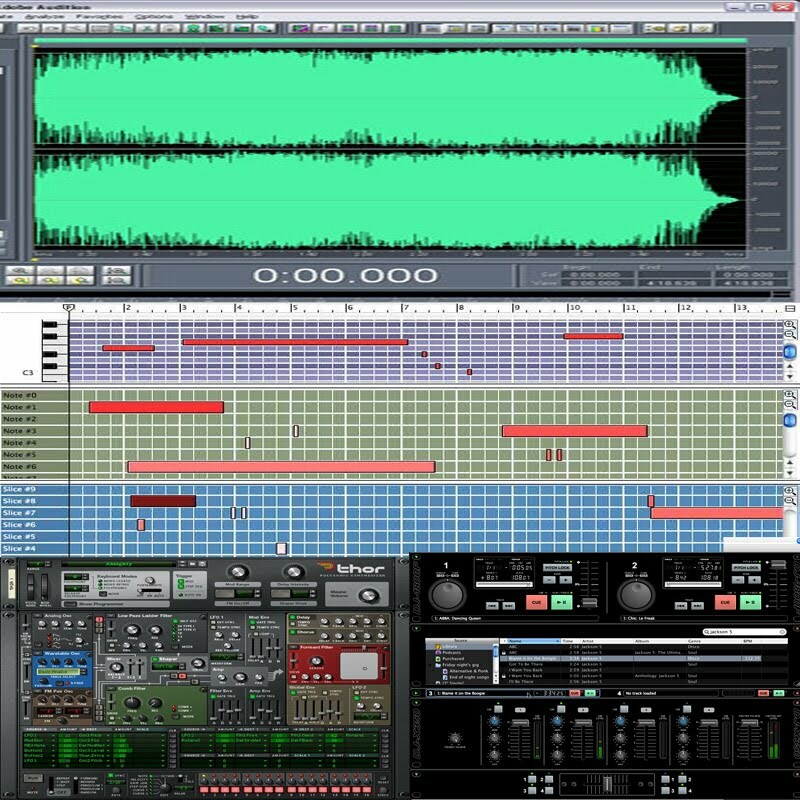 The workshop will be about creating simple loop and set up a live session with the software Propellerhead Reason. Any suggestion to improve the workshop is accepted! Don't let the momentum stop! Let's gather at Big Pink (to avoid annoying Project neighbors any further!) on Wednesday evening to do whatever it is we do. What will happen this time is anyone's guess. New songs? New musicians? I hope so! Unsurprisingly, these meetings on the whole tend to get better and better each time, as we become more familiar with the songs and with each other as musicians. And again we realized at this meeting how much more productive we are when we have a specific goal to work towards; in this case, the goal is a performance on Sunday (details, Lucian?). *Lucian enters on guitar on "in the pines, in the pines..."
*"freak out" after recorder solo! ...and we begin with that same C major chord on the harmonica! Bring your instrument, your voice, your rythm. Here's an idea for a new song to work on, before "Postcards From Italy" becomes a permanent earworm. It's called "Kalyna" and is a traditional Ukrainian song. The version I like comes from a band called Svjata Vatra, who are based in Tallinn and mix the Ukrainian and Estonian folk traditions. And the "other" part, for the bagpipe solo and the kalyna-kalyna-kalyna-kalyna-kalyna part is just Am --> G, with subdivisions 3/3/3/3/2/2, all the 3s are Am and 2s are G... yeah, there must be a better way to explain that.